DRYDRY Foot Spray reduces foot sweating (ankles, feet and fingers). DRYDRY Foot Spray has a cooling and refreshing effect with prolonged antimicrobial action. The product contains menthol thatvasoconstriction so you feel the cooling effect.Besides, menthol provides a tight barrier against sweatingwithout disrupting sweat glands processes. DRYDRY Foot Spray prevents the odors appearance in your shoes and keeps your feet dry for 24 hour. 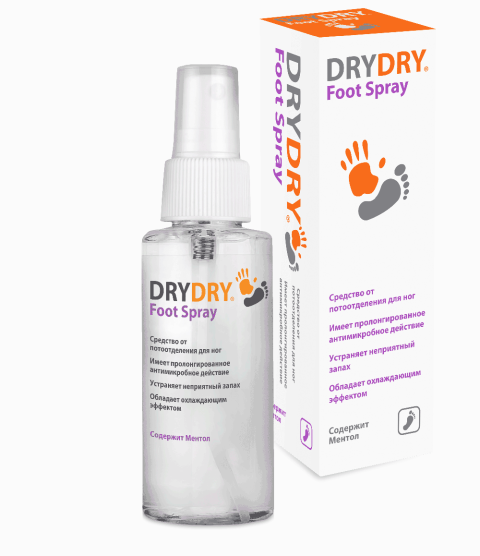 DRYDRY Foot Spray is available in convenient aerosol form for fast and easy usage. Apply the product on a clean dry skin in the morning and in the evening and let it dry for 2-3 minutes. 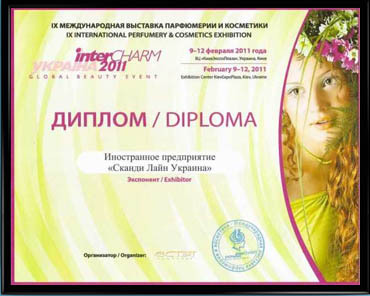 DRYDRY Foot Spray is hypoallergenic, does not cause skin irritations and fragrance-free.